This special issue of Yale French Studies on bande dessinée is a multifaceted reflection on its newfound academic status. It goes beyond the question, settled long ago, of its artistic legitimacy but aims to think "outside the boxes," or cases, themselves in order to explore the mutually enriching relationship between BD and the wider francophone cultural and intellectual world. Contributions thus intersect with art history, literary theory, cinema studies, postcolonialism, semiotics, and political sociology. 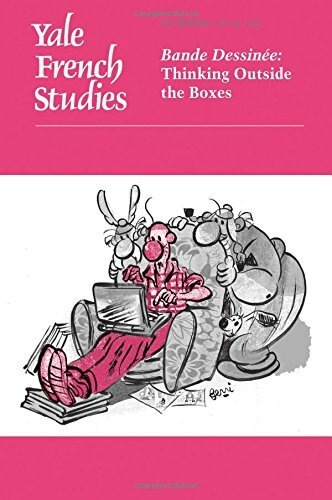 Articles are by mainstream interdisciplinary scholars applying themselves to BD, leading authorities on bande dessinée itself, BD artists, and key figures in contemporary French thought whose texts appear in English for the first time. If you have any questions about this product by YALE UNIVERSITY PRESS ACADEMIC, contact us by completing and submitting the form below. If you are looking for a specif part number, please include it with your message.